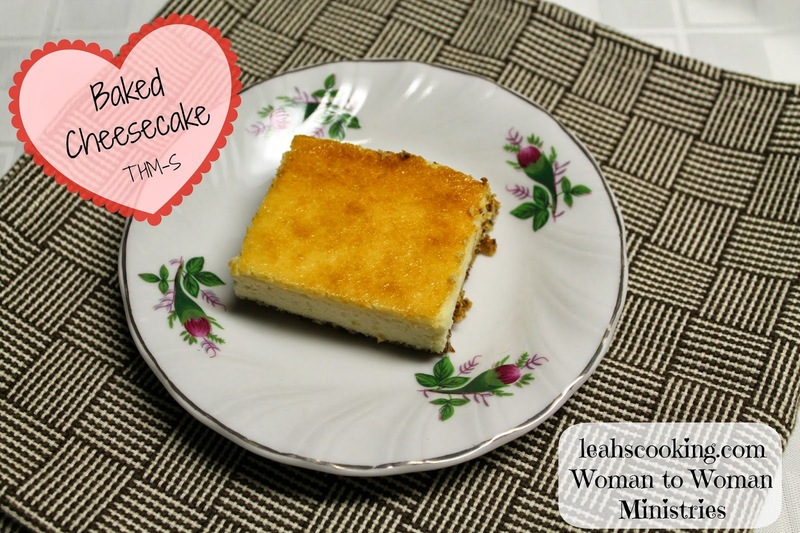 We always love a good Baked Cheesecake in this house, and especially one thats Sugar free and healthy! Mix well and bake at 350* for 45 minutes or until center is just a little jiggly... As it cools it will set up more. Top with your favorite fruit filling and enjoy! ***If you are not following THM, simply make a graham cracker crust. Grind approximately 8-10 grahams in blender and substitute the xylitol for sugar. For the Cheesecake: eliminate the xylitol and liquid stevia and use 1 c white sugar. Oh I love cheesecake, yum! I needed to find the cheese cake recipe fast because I loaned my THM book to a friend. Found it here after I googled it. Made it tonight like you suggested. Everyone loved it!